COLOUR AS A PATHWAY TO SPIRITUAL EXPERIENCE – If you have attended the Art of Meditation 1 retreat already, or are a practicing meditant and want to strengthen your meditation practice in the beautiful surroundings, peace and tranquillity at Riverslea Retreat, in Otaki, then this March 2019 retreat is for you. Take time out from your demanding daily routine and immerse yourself into a space of meditative enquiry, equanimity and calm relaxation. We will also have time for personal contemplation, be it a walk in the bush, a stroll or swim by the river or quiet solitude before a delicious evening meal. On this retreat we will be exploring the world of colour as a doorway to spiritual insight and self-development. Through simple artistic exercises and contemplative enquiry we will explore how colour can create inner soul experiences of a universal nature opening our perception for supersensible phenomena. The colours we experience in nature exist at a boundary, or threshold, between sensible and supersensible worlds. Every moment of the day we are having colour experiences but are largely not aware of it. When we gaze upon a beautiful sunrise or sunset we can be drawn forth from our mundane awareness, through feelings of awe and wonder, and be lifted to a higher more numinous experience. This is why colour perception is so useful in a meditative process in helping us transcend the material world and ascend into supersensible realms. 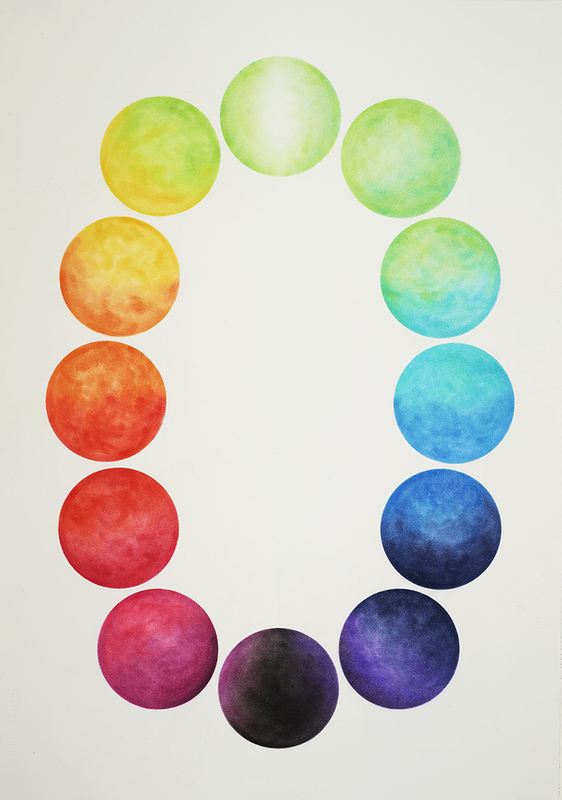 Colour works deeply into our emotive and psychic life in subtle ways, often affecting how we feel. It is used therapeutically to bring to conscious experience that which would otherwise lie uncovered in the unconscious, inaccessible to intellectual investigation. Through learning to become aware of the non-subjective reality of colour, as a pathway into higher realms of consciousness – we pass, unfettered, through the phenomena of the senses to a supersensible reality that lives beyond the material world. However it is also important to note that through processes such as these we develop sensitivity for the qualities and forces that underlie all phenomena, both material and non-material. The heightened awareness that can be developed through meditation, can help us be awake to the underlying nature of so many socio-political, environmental and personal challenges that confront us on a daily basis. Meditation can make us active and awake citizens of the world! Remember – meditation is not just about our self, but also about service to the world! Emily, Mark and Catherine look forward to you joining this enriching retreat. Register now or contact us if you have any questions. We recognise people have differing financial circumstances so if money is a problem contact us and let’s talk about a plan.